but no eggs have actually been produced. I tell them they have to lay an egg to cluck like that. So, one of them actually listened to me. I've been checking for good measure. there was a treasure in the nest. My friend Shirley used to love the pullet eggs. She said they were just the right size. that it doesn't even register as small. Actually, it barely brings it up off the black line. Yes, the scale works just fine. you might keep your eye out for one. I've only ever found one other. I'm not sure if it worked. Cost $45 = Not interested. They are handy as the size of the eggs produced increases. These hens have been "good girls" for the most part. 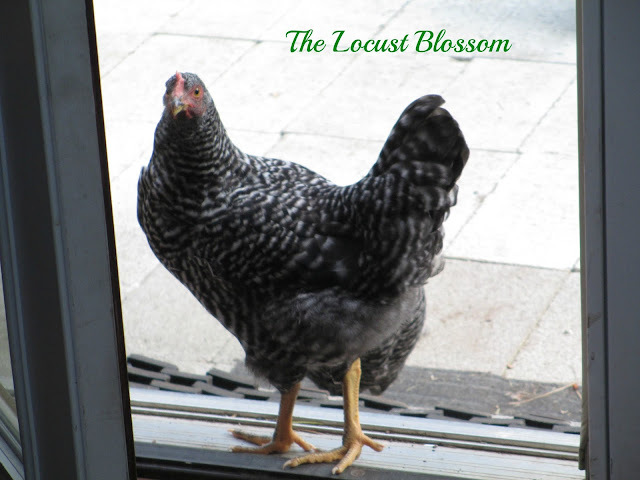 Though, I do have to remind them that chickens are not house pets. They try to follow me in the house. 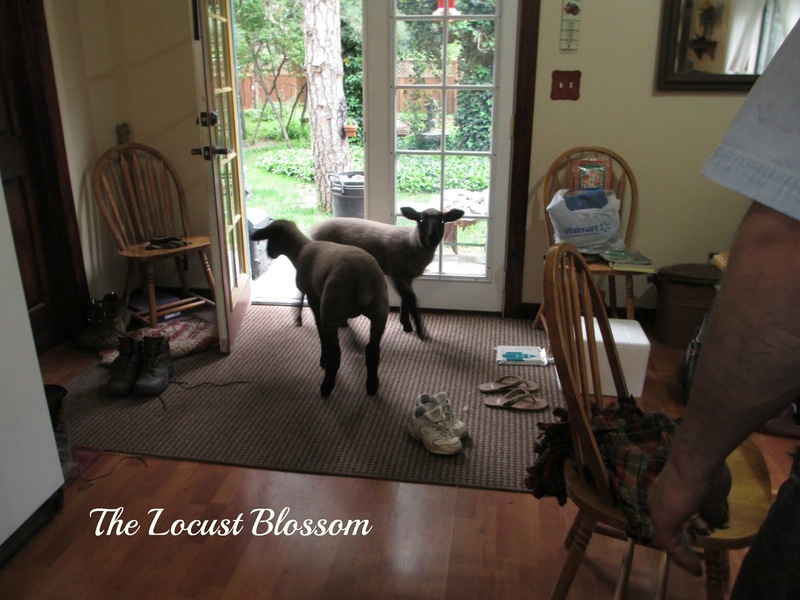 As have the lambs when they were younger. What is it with these critters? 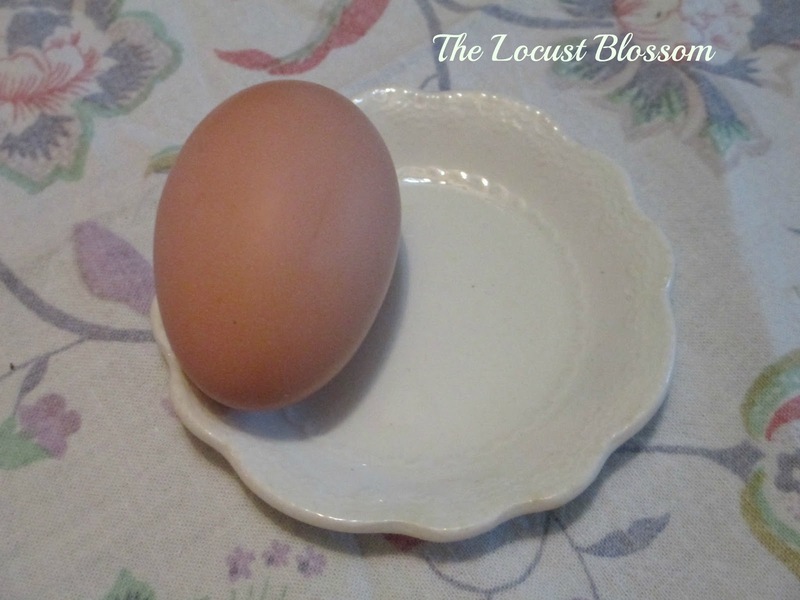 We are certainly happy to be getting some "farm fresh" eggs again. we might be able to have breakfast. What sweet pictures - of course the chickens and lambs should be in the house (as long as it's somebody else's house...hee hee). 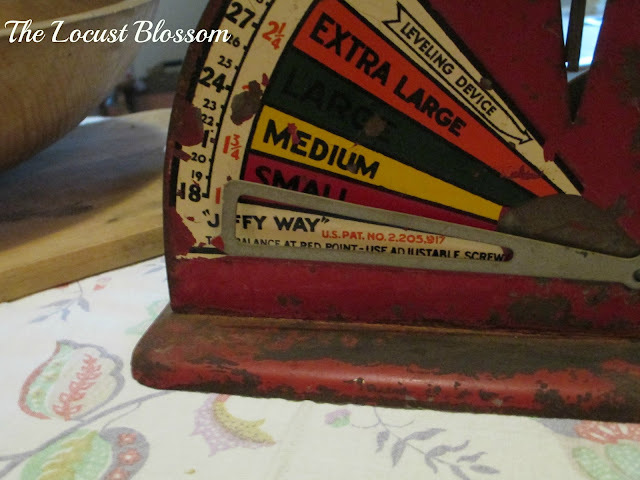 Wonderful old scale - a definite conversation piece that is also quite useful. 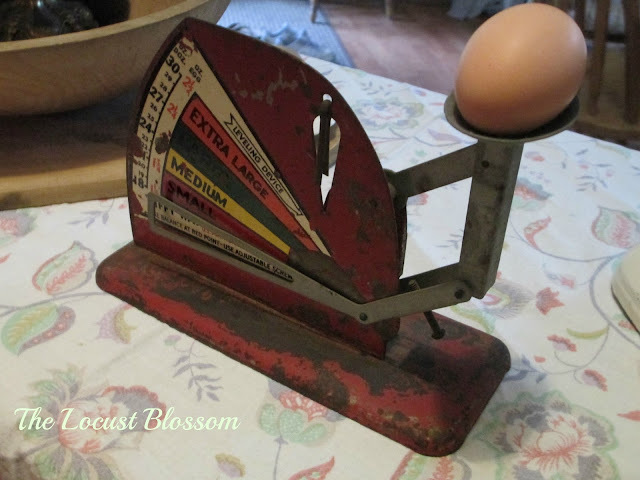 That is a beautiful egg scale!